Stretching the One Income Dollar: Could These Passive Income Solutions Work for You? 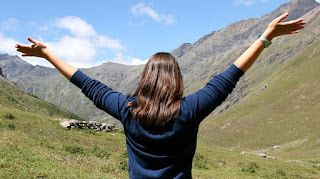 Could These Passive Income Solutions Work for You? The time was when people took a second job in the evenings or at the weekends when money got a bit tight or there was something big to save up for. Nowadays, however, most people’s first job takes up evenings and weekends all too frequently, so savvy savers and earners have to get even smarter. 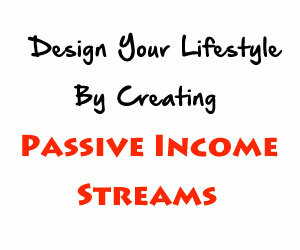 Many full-time workers have some sort of passive income. A passive income means that they set something up, like an investment or a website, that generates money each month with very little input. For most people, this income stream is there for the extras – an end-of-month treat or a fancy holiday once a year – but for some it can be a real earner. This is actually the odd one out here, as it’s not really an income stream – you only get your payback when you sell your stash. However, once you’ve decided to invest in silver dollar coins and they’ve arrived and are securely in your safe, all you have to do is sit back and wait for a good time to sell (tip – this is when they’re worth a bit more than you paid for them!). For the community-minded people out there, this is a brilliant solution. Not only are you helping a young (or, indeed, any age) entrepreneur get their invention off the ground by lending them money, but once they start paying the loan back each month, you get the interest on top too! OK, this might be a little time-consuming at the very beginning, but once you’ve got all your products described and listed, had a few good reviews and got into the groove, you just need a couple of hours a week to maintain your online empire. All the picking, packing and posting is handled by a third-party; all you have to do is handle a few customer queries and scout for lucrative new product lines when the spirit moves you. If you know your way round a camera, or even if you have a few shots in your collection that are worthy of publishing, don’t leave them languishing in oblivion in your cloud storage! They deserve to be seen and you deserve some kind of recognition or recompense, so send your best snaps to a stock photo site. It only takes a few minutes to upload them and then you don’t need to do anything else other than wait for someone to download them and pay for them. If you have a few expensive-but-handy appliances, like a jet-washer, a high-end lawnmower or a floor sander, then you could make a few hundred dollars a year (or maybe more) by hiring them out to people. You’d have to undercut your local hire shops, which might mean you can’t take a big deposit, or you could just hire out to people in your locale at very low rates.